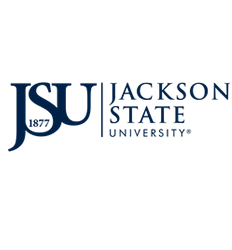 During times of death in the immediate family, Jackson State University understands that employees may need additional time off for various reasons pertaining to their loss. Up to three (3) days of earned medical leave with full pay may be granted. If the period exceeds three days in any one occurrence, the excess will be charged to accrued personal leave or deducted from the employee’s salary. One day of accrued personal leave with full pay will be granted for relatives or persons outside of the immediate family. Any additional time off is permissible but requires approval based on workloads and staffing requirements. Employees who need bereavement time should notify their supervisors as soon as possible. 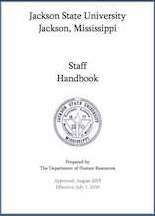 Employees may be required to provide evidence of the immediate family member’s death, such as a copy of the death certificate or a copy of the newspaper obituary. Employees who require additional time beyond that provided in this policy should discuss the situation with their supervisors. Options include using vacation time or an unpaid personal leave. Managers should notify Human Resources when one of their employees requests bereavement days. Deaths of immediate family members can be extremely difficult. Supervisors should be sensitive to the need for additional time off in some cases. Bereavement leave requests for employees not covered in this procedure may be granted at the discretion of the department head. Department heads are responsible for ensuring that bereavement leave is documented on the appropriate corporate form for attendance reporting or time card/sheet. Upon notification of death, the Office of the President will in most cases, notify the University family of the employee’s and/or immediate family member’s death. No notification will be issued when the affected employee requests that no notification be issued. In the event of an employee’s death, communication will be sent from the President. The Division of Human Resources will send a card of condolence from the University. Other expressions of bereavement are encouraged but may only be funded through private expenditures or donations.